Bristol Museum said on Thursday it was displaying the piece to mark the 10th anniversary of its 'Banksy versus Bristol Museum' exhibition, but the timing of the opening — on the eve of the day the UK originally planned to leave the European Union — left little to the imagination. The tumultuous political months leading up to March 29 have highlighted a bitterly divided United Kingdom and Parliament, where several attempts to ratify a Brexit deal negotiated by Prime Minister Theresa May have failed. May herself has faced her own challenges after several votes of confidence in her leadership, and a breakaway collective of pro-Europe MPs formed a new group to challenge the country's two-party system. 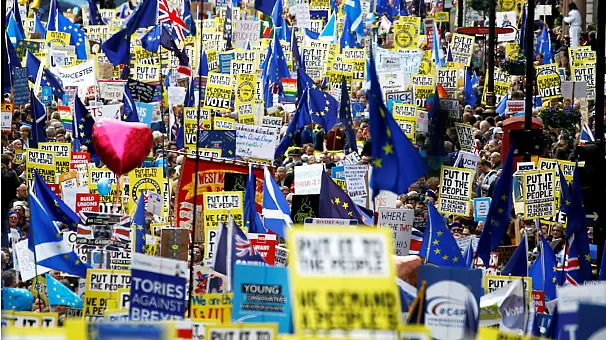 On the streets, more than a million people unhappy with parliament's lack of progress took part in a recent protest in London, calling for a second referendum. Banksy also commented on Bristol's 10th anniversary exhibition, posting a shot to Instagram. 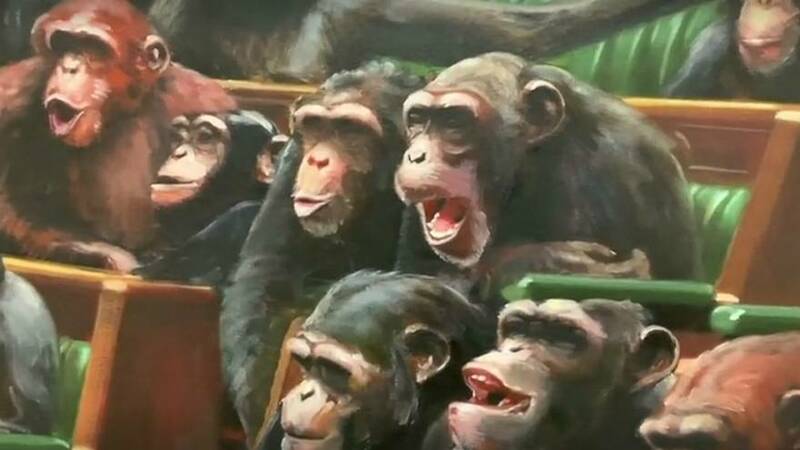 In the caption, the elusive artist paid tribute in a quote to another work: "Laugh now, but one day no-one will be in charge."